American School of Classical Studies at Athen, 9780876616345, 32pp. Named after its donor, the King of Pergamon, the Stoa of Attalos was originally built around 150 B.C. 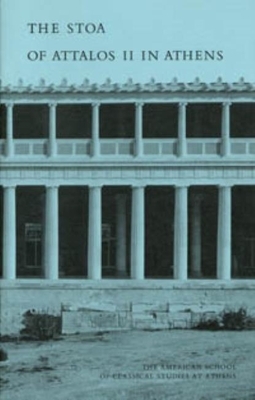 Between 1953 and 1956 this long, columned, marble building was rebuilt by the American School of Classical Studies to store and display finds from the Agora excavations. Using original materials and techniques, the modern builders learned much about the construction and purpose of the stoa, a ubiquitous classical building type. This heavily illustrated account presents some of their findings.